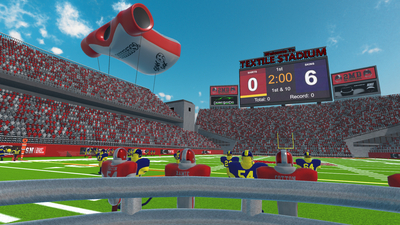 Become the virtual quarterback you were born to be! 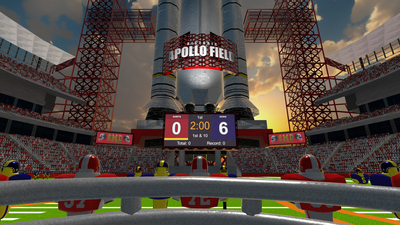 2MD VR Football is a room-scale two-minute drill VR arcade experience where players take on the role of quarterback tasked with capturing victory in the final minutes of a game. Draw the plays, call the shots, and throw the ball to take down opponents before the clock runs out. Fully interactive VR motion tracking! You call the shots: pass, hand-off, or even run the ball! Interactive whiteboard that allows players to draw up to 8 custom plays! 8 immersive, unique stadiums with larger than life attractions. Unlockable trophies that populate your team's locker room. "Hot Streak" status buff for multiple chained completions. Rapid-fire ring toss bonus rounds! Up to 8 Customizable teams. Featuring the voice talents of Xander Mobus. 2MD VR Football works so well because it has the best throwing mechanic we've experienced with PlayStation VR to date. The game's relatively simplistic, tasking you with executing a series of successful two-minute drills, but the ability to design your own playbook paired with the implementation of recognised NFL rules mean that there's some strategy to this arcade affair. The art style's not going to appeal to everyone and it's unlikely to keep you occupied forever, but fans of American football are sure to have a blast doing their best Tom Brady impression in virtual reality. Overall, 2MD VR Football was slightly underwhelming from what I initially was anticipating; however, this game is fun in bits and pieces. If you are looking for a cheap sports game and you just happen to love American football this is the game for you. Not to mention the game is only $12.99 on Steam so if you're looking for a game to test out and memorize the controls of your VR headset this will get the job done. 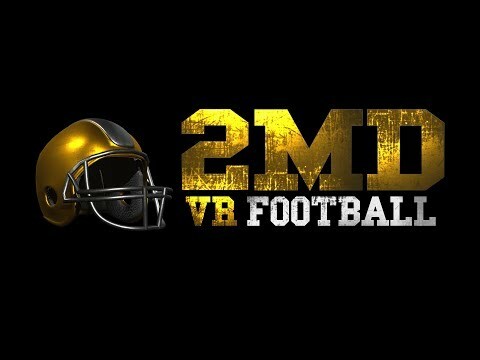 2MD: VR Football is an incredibly realistic football experience and any fan of football games should definitely give it a shot.